Ryley Swan is a multi-instrumentalist and songwriter from the outer suburbs of Melbourne, Australia. He blends electronic and ambient symphonic music to create soundscapes to catchy beats and melodies. His influences include artists such as Sigur Ros, Bon Iver, Coldplay and more. Ryley’s debut double single release in 2015 titled, ‘Evaporate’ and ‘Translucent’, gained national and international attention. 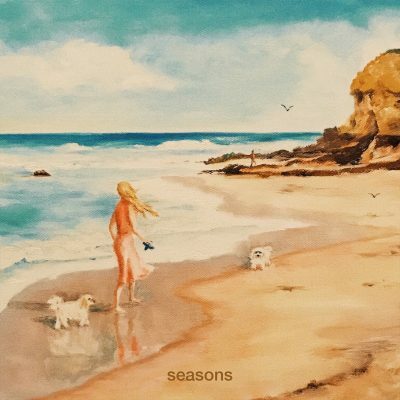 But now, three years on, Ryley is set to unleash a fresh album called ‘Seasons’. Recorded in Melbourne, and two years in the making, ‘Seasons’ is familiar, but also unique in its own right. ‘Seasons’ was inspired by Ryley’s recent relocation back home to Melbourne from a year living in Sydney and a reflective solo road trip around Tasmania, Upon his return, he wrote and recorded nine songs that would become the album ‘Seasons’. Above all, ‘Seasons’ is simply about the eras in our lives, good or bad, and the people around us that make us who we are.